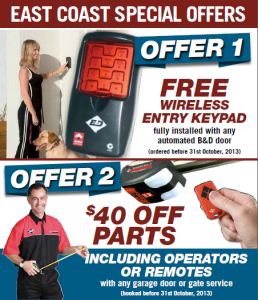 East Coast Garage Doors & Gates are delighted to offer our customers 2 specials available between now and 31 October 2013. 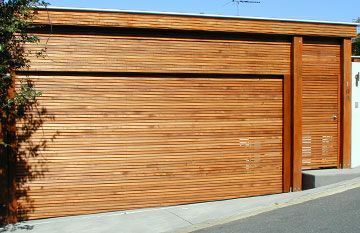 Offers only valid upon presentation of an original East Coast Garage Doors & Gates – Promotional Flyer valid to 31 October 2013 – keep an eye out for one in your letterbox soon.. or pop into our Kunda Park Showroom to collect yours today! 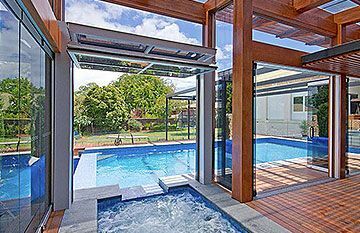 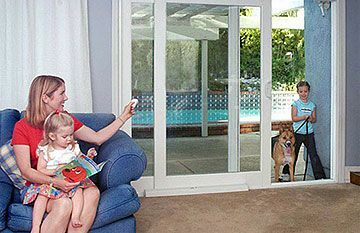 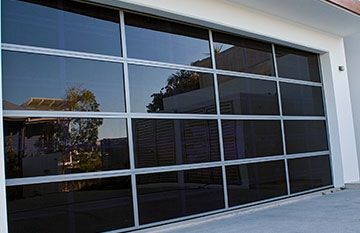 * conditions apply – contact our Customer Service Team at East Coast Garage Doors & Gates on (07) 4476 9227 for full terms and conditions.